Hi everyone! I’d like to share my fantastic experience that I recently had. 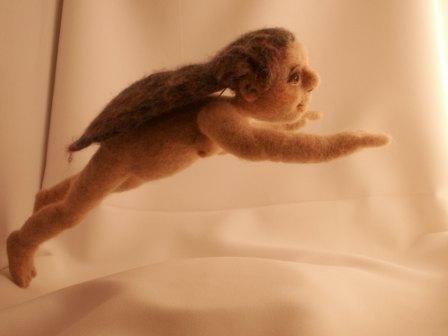 In late August, I learned that my needle felting idol, Birgitte Krag Hansen would be in Alaska in early September putting on needle felting workshops. I was so lucky to be able to take not one but TWO workshops with her. 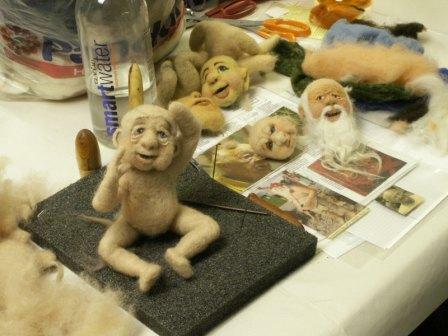 The first workshop was a one day event titled “Funny Theatre Figures. This class was in the tiny, remote community of Kenny Lake; I had to drive 4 hours in each direction to take this one day workshop. It was so worth it! Our class was in a little library with only 9 people in the class. 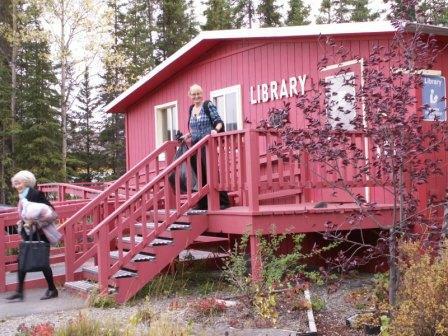 Birgitte is on the porch and that’s Penny Wakefield, her host from the Fairbanks Spinners and Weavers Guild. 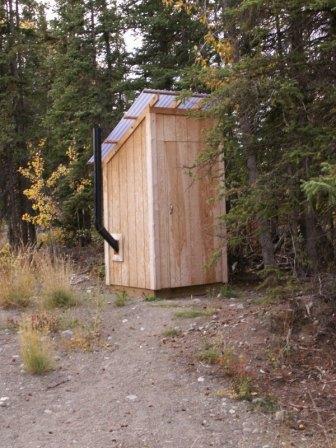 There wasn’t even running water – we had to use the outhouse out back! 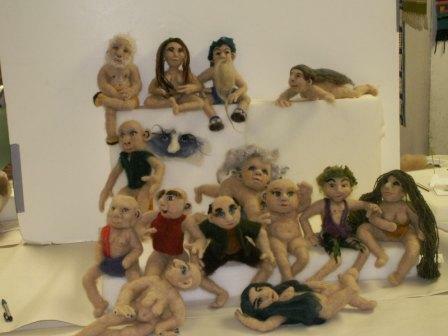 We had so much fun learning how to make these funny little theatre figures! The little guy I made is in the video below. His name is Kleebus. He only has one hand (and that is at the end of his neck/body) but really, he needs no more! He is fun to play with and kids absolutely love him. 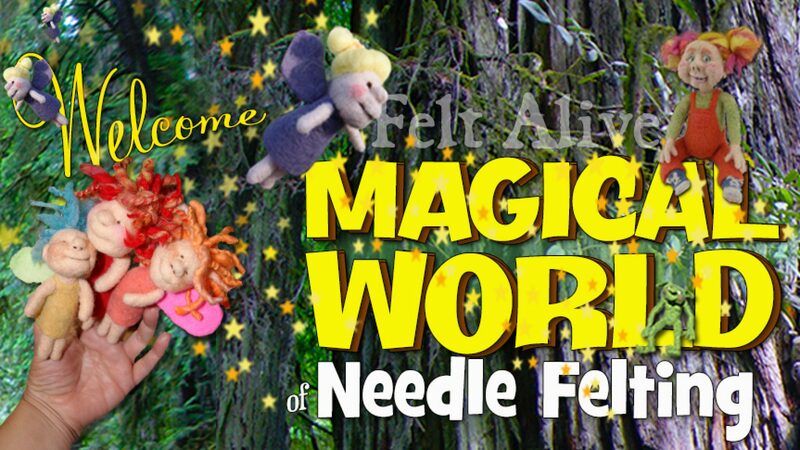 Birgitte taught us how to work the wool so that the characters come to life. I hope you enjoy the video of Kleebus as he hams it up for the camera! Sorry about the backgroud noise – its one of my big dogs having a big drink of water! The workshop was called “Figures in Motion” and I had the idea that mine would be sunbathing. The end result was more like she was flying! The last pictures were taken during the workshops – Birgitte’s Workstation is quite interesting. I love the one of the family of characters that were made in the class. There were some fun and talented people there! Kay, I am in love with Kleebus!!! I just noticed he had a video and so I watched it and he is too COOL!!! Kleebus….I Love You! The characters look amazing. I’m so jealous and would love to take a workshop like this.The group shot made me smile.